Last night, inside of the Barclays Center in Brooklyn, New York, and a co-feature on SHOWTIME CHAMPIONSHIP BOXING, Jose Uzcategui defeated Andre Dirrell via TKO just a mere two seconds into round nine, upon the request of Dirrell’s trainer, Virgil Hunter. 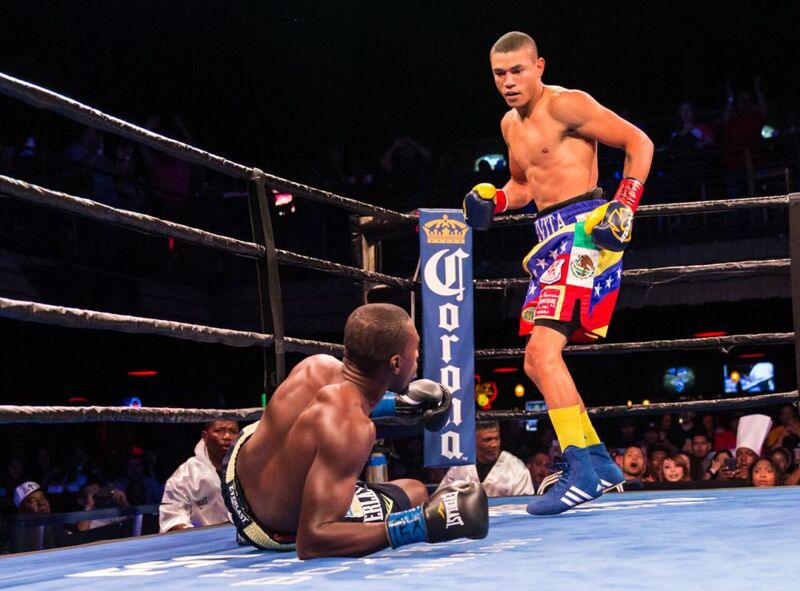 Up until that moment, Uzcategui had been controlling their rematch with sharp movement and precise punching. Uzcategui now finds himself as the interim IBF super middleweight champion of the world. The hard hitting Venezuelan, who improved to 27-2 (23 KO’s) with the win, has several options, including being in position to fight the full IBF champion Caleb Truax, who captured his belt in an upset in winning a majority decision over James DeGale in December. Back in May of 2017, Uzcategui and Dirrell (26-3, 16 KO’s) met for the first time. In that contest, Uzcategui was disqualified for landing a punch after the bell sounded to end the eighth round. Uzcategui’s action upset Dirrell’s trainer and Uncle Leon Lawson II to the point where he hit Jose in the corner during the post-fight melee. In the rematch, Uzcategui out-landed Dirrell 169-141 in total punches, including a commanding 112-51 edge in power shots. There was definitely some controversy following the first fight and Uzcategui wanted to leave no doubts this time around. Dirrell, a native of Flint, Michigan, now 34 years old, definitely seemed to find Uzcategui’s length and aggression difficult to handle on Saturday. Dirrell has been a fighter who relied on his great physical traits such as speed and athleticism, and he sensed that a knockout was going to be in order following Uzcategui’s ability to build an early lead. During a post-fight interview, Uzcategui made a strong statement by expressing interest in a big fight with WBC champion David Benavidez. It’s an action matchup between two entertaining punchers, and one that would surely be worth watching. For his part, Benavidez, just 21, stated that he is open to facing Uzategui. Benavidez is coming off of a unanimous decision victory over Ronald Gavril in their rematch last month in Las Vegas.